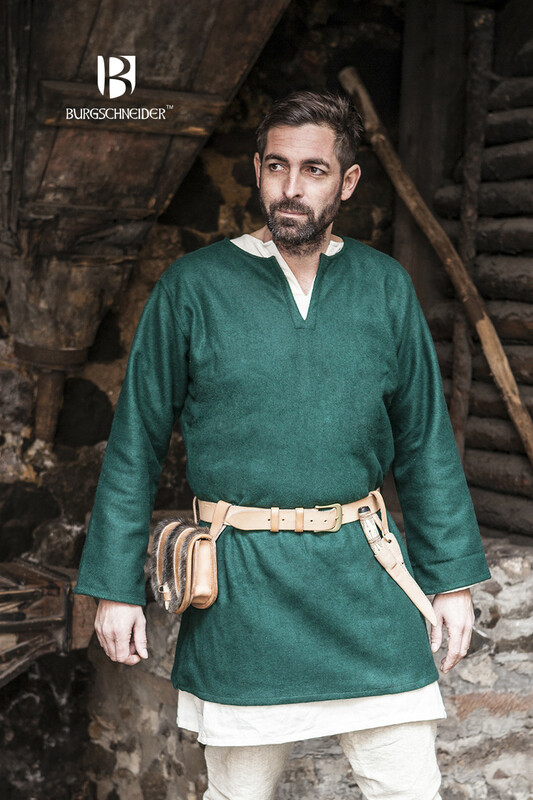 The Lodin is a long sleeve, short length tunic, which looks very authentic thanks to its beautiful woolen material. The tunic is a solid, gender neutral part of fashion from ancient times to modern times. 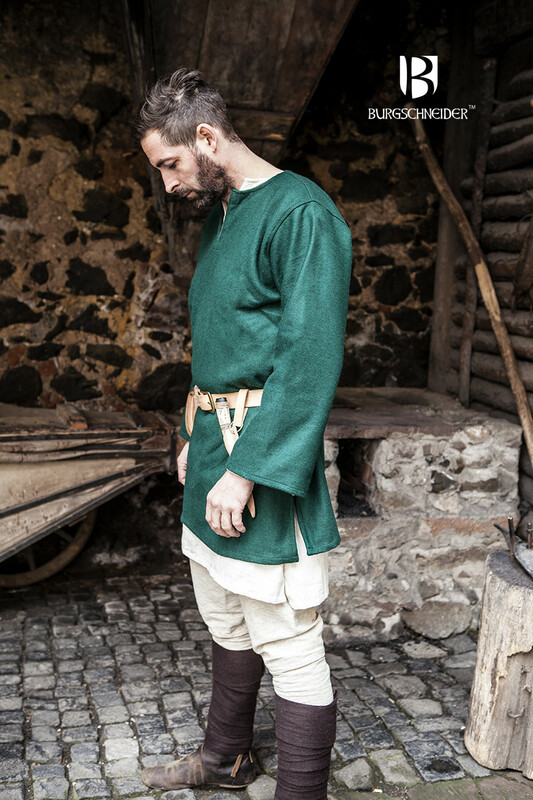 Over time this tunic experienced many different interpretations and uses, and still can be seen in some forms of fashion today. Our Lodin offers an impressive appearance both with and without acccessories, the effect of which is reinforced by the heavy woolen material of which it is made. 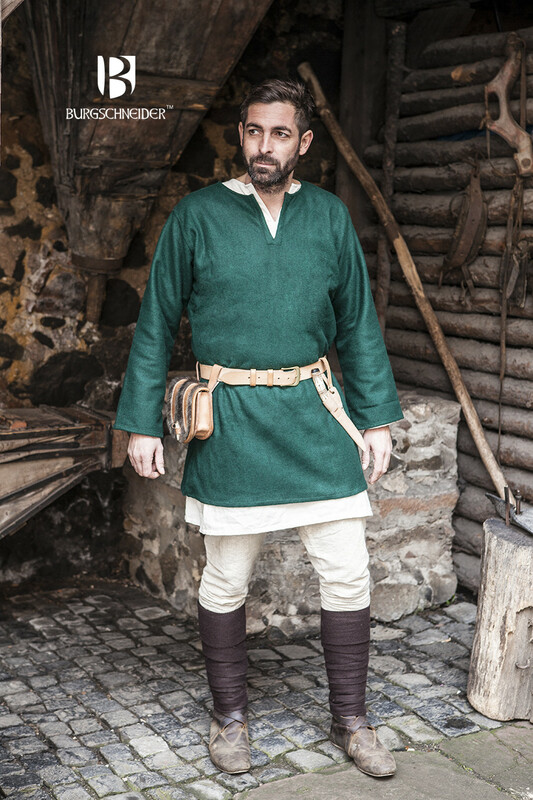 In the pictures is also our Thorsberg Trousers, which are worn with Winingas, or Leg Wraps.